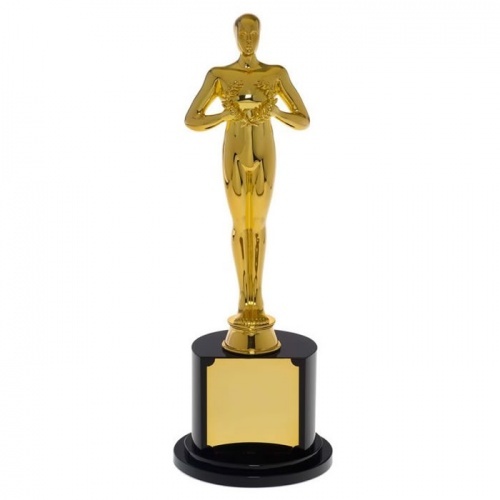 These classic awards statuettes give an instant and enduring sense of true achievement. They feature a gold plated figure holding a finely detailed laurel wreath garland, and mounted on a semi-circular polished black crystal base with an engraving plaque. These superior awards are reassuringly weighty to hold (the award itself weighs in at 1.5kg / 3.25lbs) and have the feel of real quality. 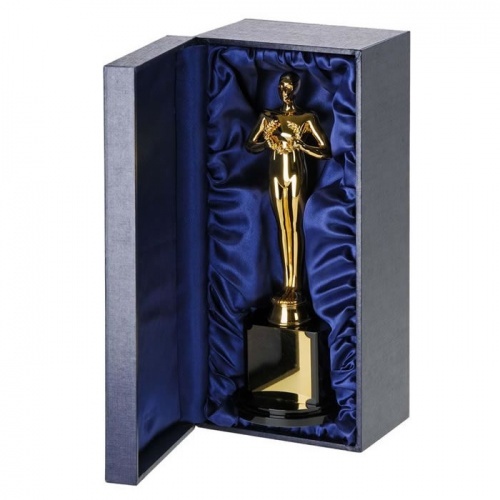 They are supplied complete with an attractive, fully-lined, hinged presentation box. 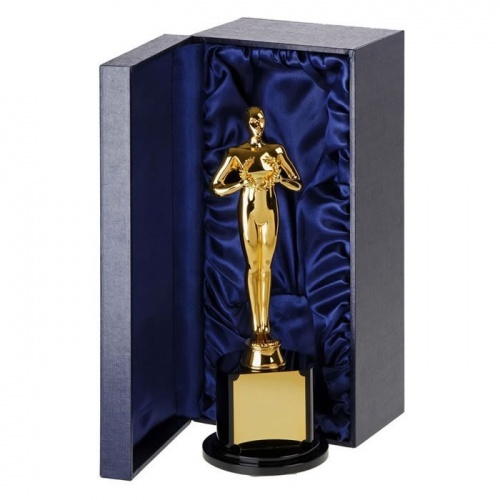 The award itself is 11in (280mm) tall while the impressive box measures 13in x 6in x 5in. 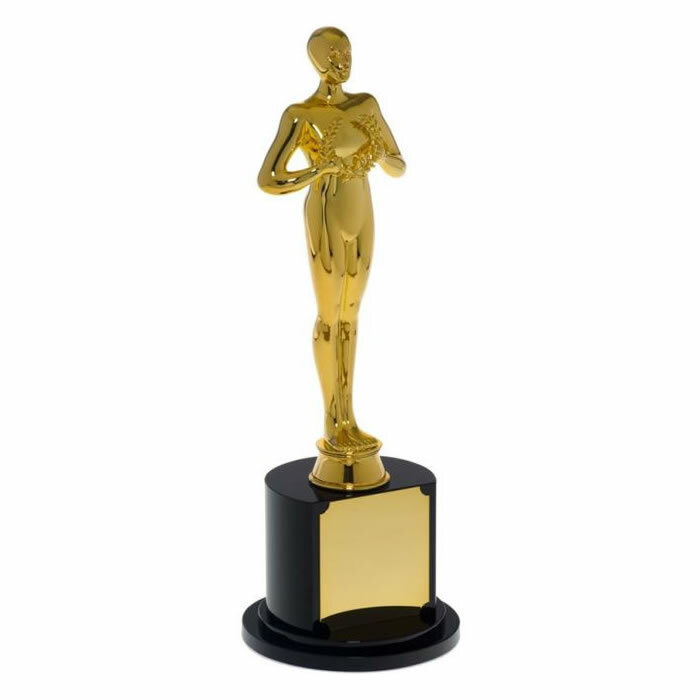 A truly exceptional awards trophy, suitable for a wide range of achievements, and offered at a very competitive price for such a quality product.